Such imagery and slogans resonated throughout different levels of society in the British Empire, including in the colony of Nova Scotia. 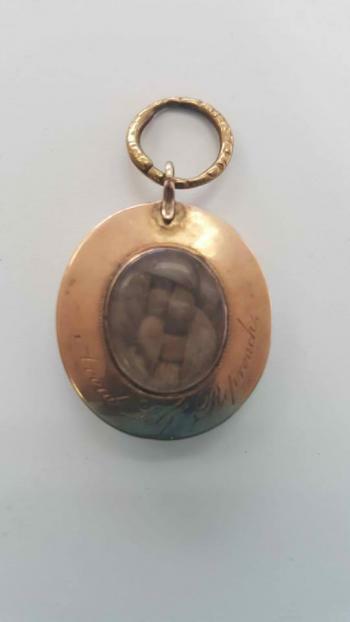 The reverse of this yellow metal pendant is inscribed “Avoid Self Reproach” and is inset with woven human hair – perhaps a personal remembrance of a freed or escaped slave. 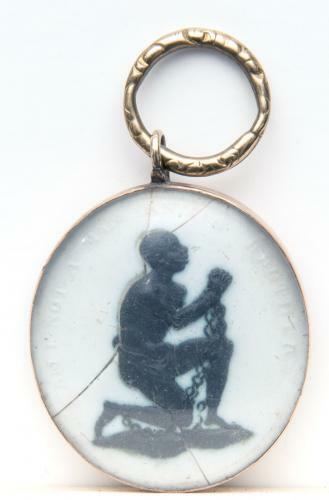 Wedgwood’s abolitionist pieces were also among the first commercially mass-produced ceramics in the world. The medallion is currently on display as part of the “Museum Making: An Invitation” exhibit, celebrating 150 years of the Nova Scotia Museum, at the Museum of Natural History in Halifax. 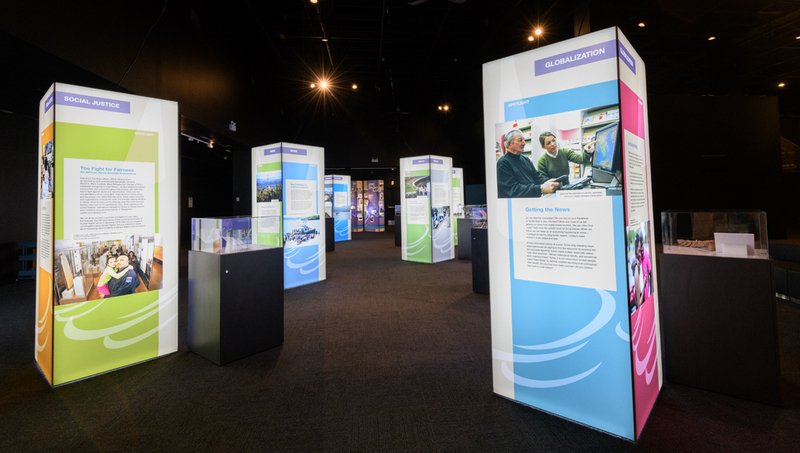 Many freed and escaped Black slaves had fled to the colony following the American Revolution, forming new Black Loyalist communities such as Birchtown, outside of Shelburne, where their history is told at the Nova Scotia Museum’s Black Loyalist Heritage Centre. Some later left Nova Scotia in the winter of 1791-2 for a new colony in Sierra Leone, with the assistance of Royal Navy Lieutenant John Clarkson and the Sierra Leone Company. Today, many African Nova Scotian communities and individuals proudly trace their origins and culture to the Black Loyalists.